What a crazy month! We got our two oldest back to Baylor! If you can only imagine - getting two girls back to school - unfurnished houses - and lots of clothes - and stuff! Oh my stars! We took two cars and a U-Haul! It was crazy but we got them down there on a Friday, organized and unpacked both places on a Saturday and Chris and I drove back on a Sunday. I thought this move was harder then when I moved them separately. Loved having them home this summer and it was just harder taking them back! They love Baylor so that makes it easier! Meg is senior in high school and has a fun year ahead of her! Lots of decisions for her too! Preschool Teachers started back this past Monday. I was in need of routine and I was so glad to have them back! Our sweet kiddos come Tuesday! We had a great workday Monday. Preschool treated the teachers to breakfast and lunch. I had these fun lanterns filled with a few goodies - ready for them on the table when they came in. 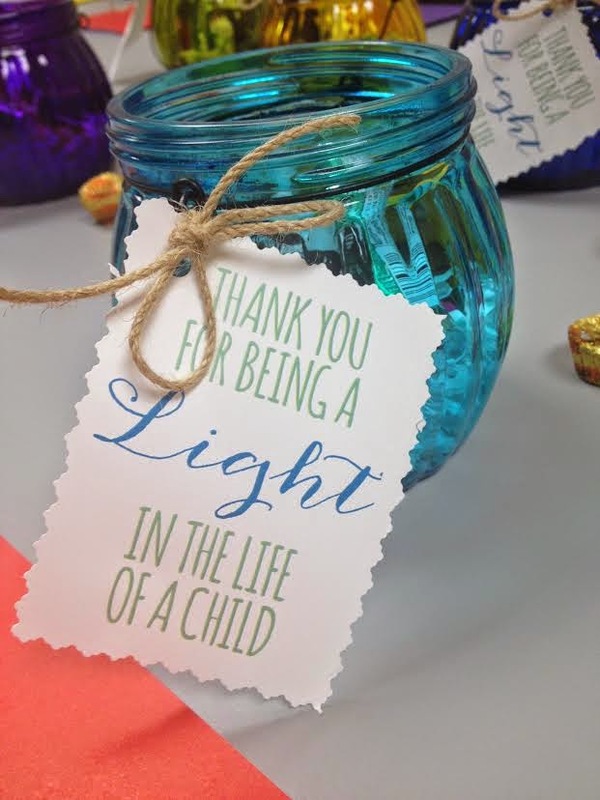 We are blessed to have amazing teachers! We had a light breakfast and pizza/salad for lunch. I did make our favorite English Toffee and I tried a new version to the traditional Gooey Butter Bar. I love peanut butter and chocolate so I just knew these would be yummy. I think heated with some vanilla ice cream might be the best. If no vanilla ice cream, top with a dollop of Reddi-Wip! Enjoy!! Preheat oven to 350 degrees. Combine the cake mix, egg, and butter and mix well with an electric mixer. Pat the mixture into the bottom of a lightly greased 13 by 9-inch baking pan. In a large bowl, beat the cream cheese and peanut butter until smooth. Add the eggs, vanilla, and butter, and beat together. Add the powdered sugar and mix well. 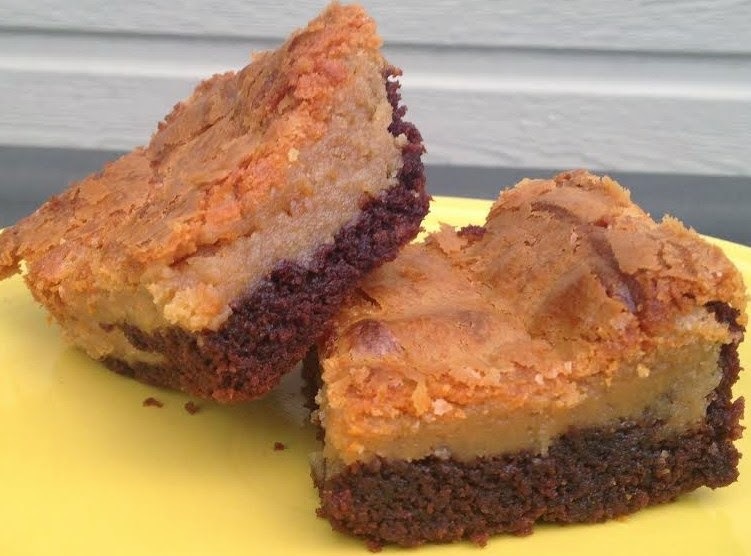 Spread peanut butter mixture over cake batter and bake for 40 to 50 minutes. Make sure not to over-bake as the center should be a little gooey. Serve warm with vanilla ice cream, fresh whipped cream or Reddi-Wip!